Hello dear friends! 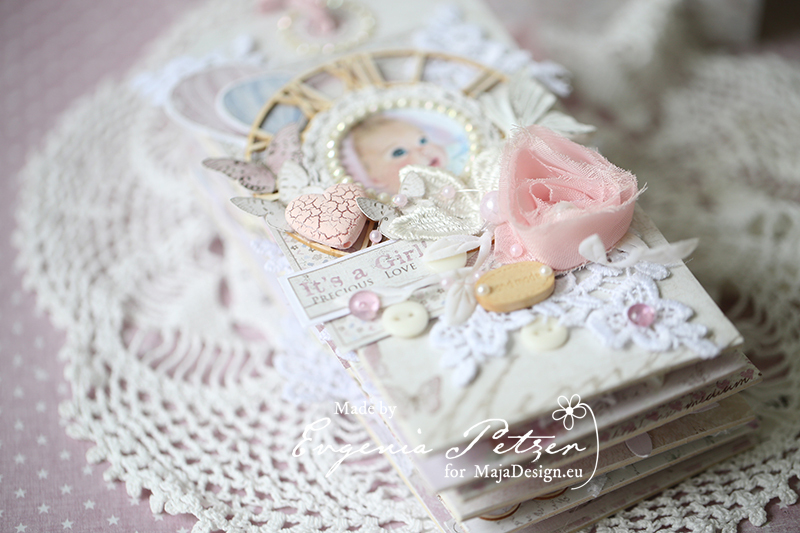 Its Evgenia Petzer with you today and I will show you the mini album that I made for a girl. 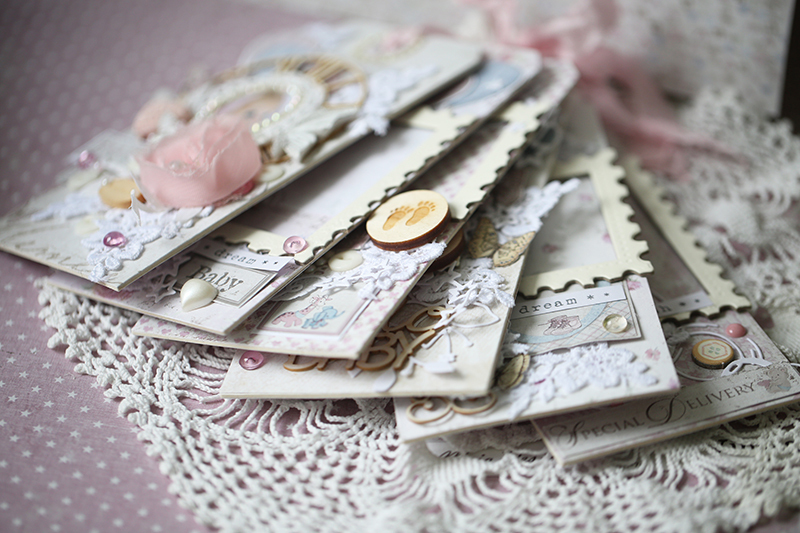 Its based on the tags (dies) that I cut from the very strong cardboard and then decorated. 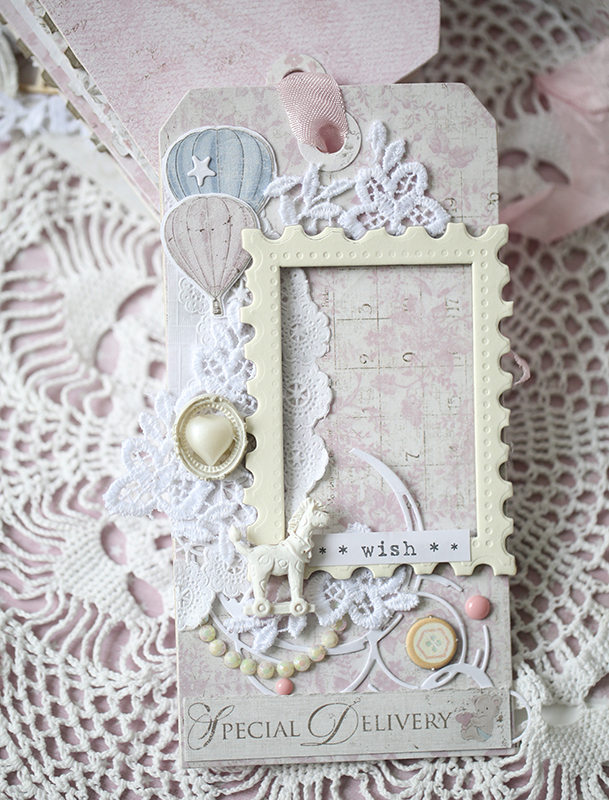 Here is the cover ( I have used lots of lace, pearls, chipboard in my album). 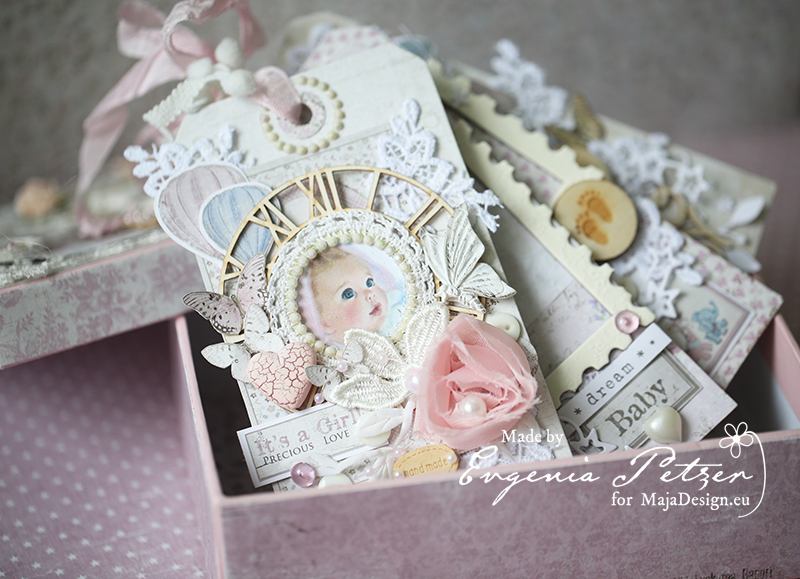 Some time ago I have shown the baby box here on the blog and to fits this album perfectly. Lets have a look on it inside- page by page? In some frames where the photos will be placed, for now I put the photo of my little one- just to show how it will look altogether (I have only boys, so this baby album will be for some other little princess). 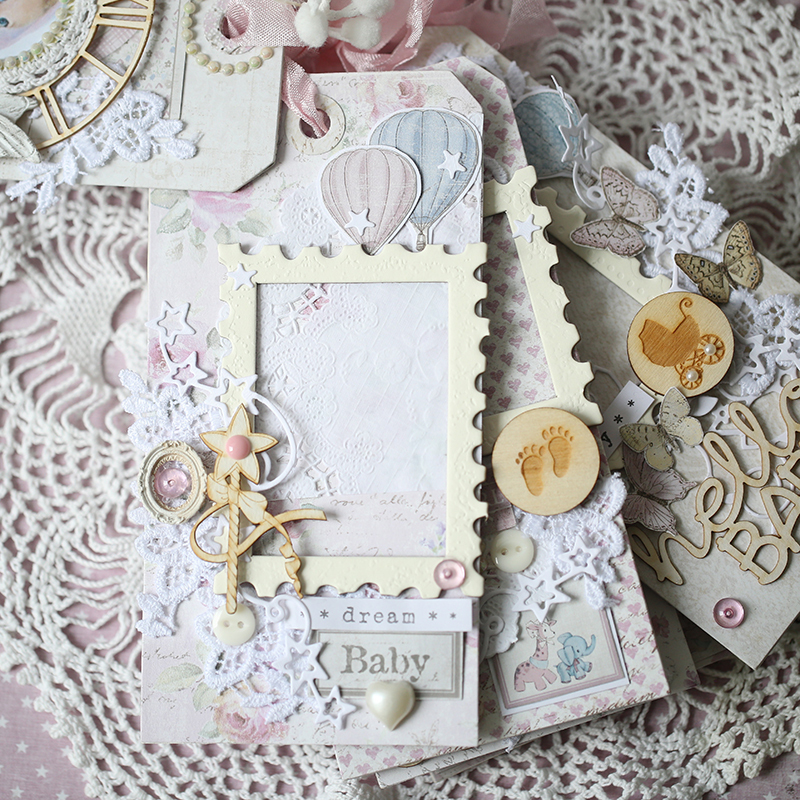 For the tags themselves I used the die cut by Tim Holtz (sizzix) and lots of leftovers from my favourite Maja Papers (different collections), all the decoration is mainly from the Vintage Baby paper pad papers and I also used these 2 sheets for the fussy cutting. WAUW WAUW WAUW this is sooooo sweet and beautiful, and I just LOVE it. 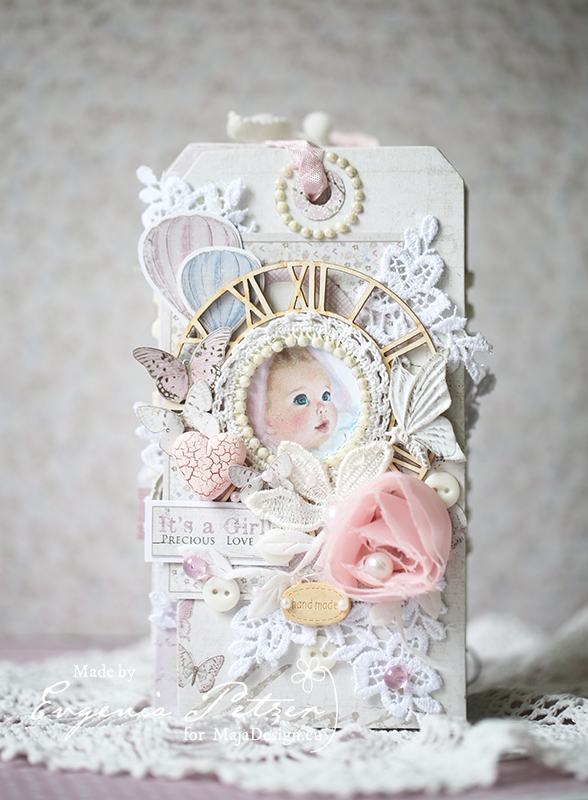 Such a gorgeous little treasure for any mother or grandmother to keep as a little bragalbum, that´s for sure. 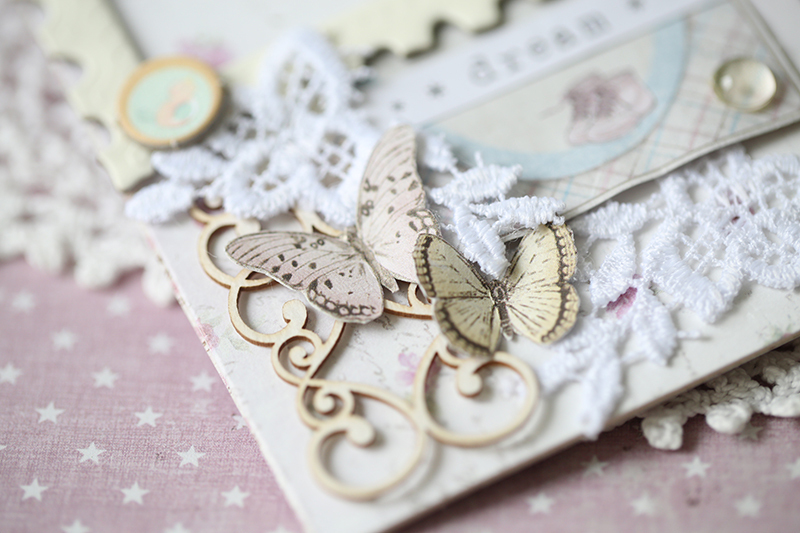 Love all the wonderful little details, I keep finding every time I look through the pictures here, soooo gorgeous. Really great work well done. 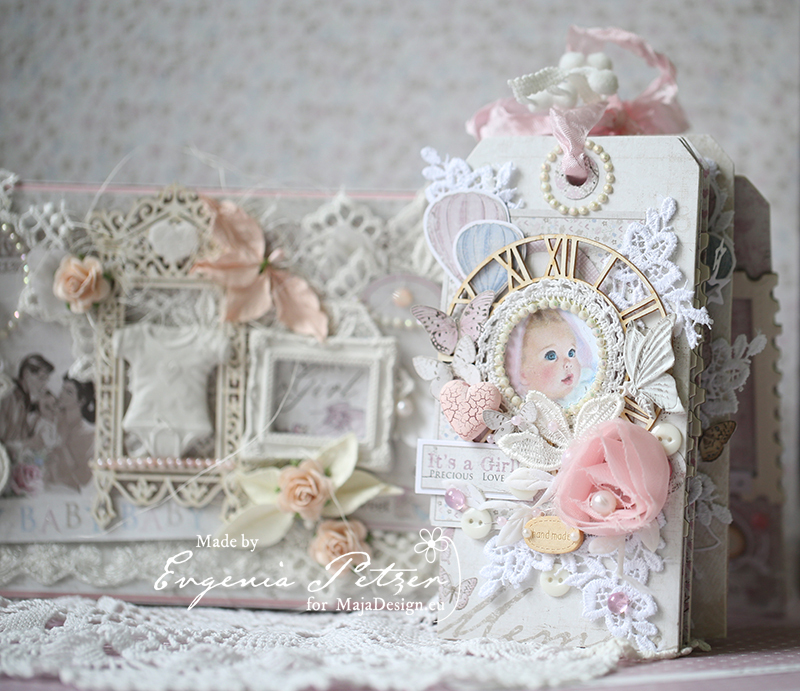 Your Tag Mini Baby Book is astonishing! Absolutely breath taking and gorgeous!